On 25 February 2016, scientific experts will convene at UNESCO Headquarters in Paris, France, to strengthen scientific partnerships to support the nomination of Sanganeb Atoll and Dungonab Bay-Mukkawar Island Marine Protected Areas as a UNESCO World Heritage Site. 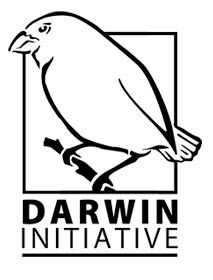 The meeting is organized at the initiative of Cousteau and made possible through the support of the United Kingdom Darwin Initiative and the Arab Regional Centre for World Heritage (ARC-WH). The meeting entitled ‘Sanganeb Atoll and Dungonab Bay - Mukkawar Island National Parks in Sudan: Strengthening scientific partnerships to support the nomination of both Marine Protected Areas as a UNESCO World Heritage Site’ is organized in the framework of the Cousteau’s Darwin Initiative project entitled ‘Strengthening marine protected areas and marine ecotourism benefits in Sudan’ and supports the Upstream Process for the nomination of the sites. 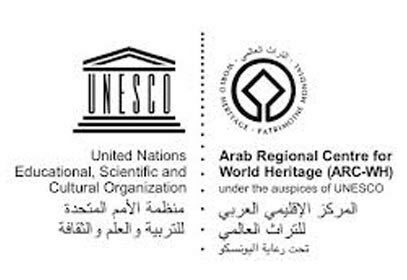 It follows up to the meeting “The Management of Natural Heritage in support of Sustainable Development: An Institutional Challenge in the Arab States” (December 2015). The meeting will gather a group of international and Sudanese experts representing the Sudanese Red Sea University, the Sudanese Wildlife Conservation General Administration, the Sudanese National Man and Biosphere (MAB) Committee, the Sudanese National Commission for UNESCO, the Regional Organization for the Conservation of the Red Sea & Gulf of Aden (PERSGA); the Sudanese NGO Sudia, The Deep Aquarium (UK), the University of Windsor (Canada) and the International Union for Conservation of Nature (IUCN). This meeting aims at strengthening local management capacities and scientific partnership for the sites of Sanganeb Atoll and Dungonab Bay-Mukkawar Island and at encouraging sustainable development and ecotourism to the benefit of local communities, taking advantage of the richness of the unique marine life and concentration of manta rays and sharks. In view of identifying key information gaps, the meeting will discuss the technical results of field studies undertaken to define the "Outstanding Universal Value" of the sites, the scientific field missions undertaken with the financial support of The Deep Aquarium as well as the technical needs for the forthcoming capacity building activities for local communities. In order to support planning and decision-making, the meeting will also present and discuss a communication tool developed for data handling, tourism and conservation management as well as for education purposes, in form of a locally managed Website. The meeting will conclude with the signature of a Memorandum of Understanding between Cousteau and the Red Sea University, under the auspices of UNESCO.